Transfer stories often occupy that rare niche in which the absurd, the ridiculous, and the truth cozy up right next to each other.Pursuits become hotspots for such stories, and when both club and player are high-profile, it becomes hard to sift through the most accurate recent update. 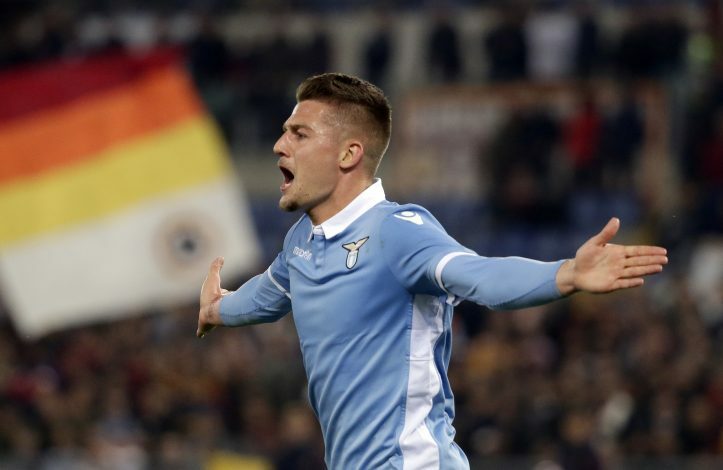 A fine example of one such saga is Manchester United’s steady pursuit of Sergej Milinković-Savić. The 23-year-old Serb has been repeatedly touted as United’s main replacement for the retired Michael Carrick. The midfielder was linked to numerous big-money bids in the past few weeks. However, numerous new reports claimed that United have dropped the pursuit entirely, after Lazio hiked the price way too high following interest from Real Madrid. And yet, now there exists a new update entirely. Did the European media, that has so far followed this saga with keen interest, somehow miss such a big development, or does the Italian know something that we don’t? Or worse still, are the fibbing spirits running high this season? This will certainly put fans in a bit of a pickle as to which part of the story to believe. The first will certainly bring back hope into their eyes, as the midfielder was viewed as the perfect answer to United’s midfield dilemma, and as the solution to their lack of creativity. On the other hand, Pogba departing won’t be the best of news for the Old Trafford faithful either. Does any truth lie dormant in this statement?